Twitter user Jevh M (@jevholution) recently noticed there was a glaring lack of asians featured on the walls of his local McDonald’s. So, in what can only be called an act of true ingenuity, he created a professional-looking poster with his mate and hung it up on the restaurant wall, where it still remains, 51 days later. 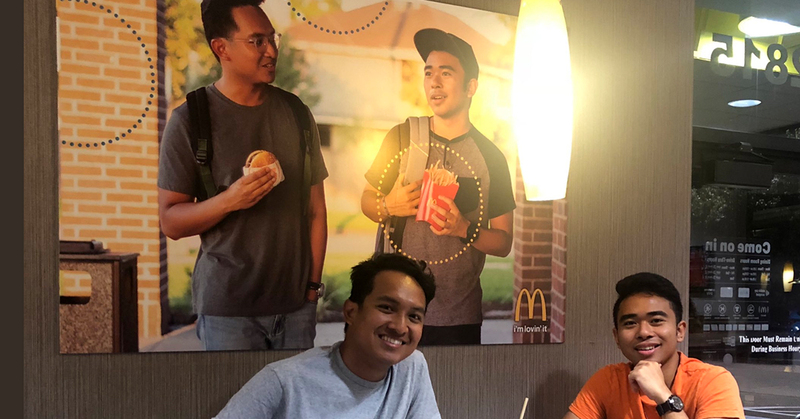 The customary flood of questions and skeptic commentary led to a YouTube video titled “We Became McDonalds Poster Models,” in which Maravilla explains why and how he and his buddy Christian Toledo (both Filipino-Americans) erected their own wall art at the fast food eatery. The entire video is worth a watch, but the TLDR of the why is that: Asians get little representation in mass media, and absolutely zero representation in Maravilla’s local McDonald’s. And the TLDR of the how? The best mates snapped a picture, threw a couple of McDonald’s graphics on it, and had it printed for $84.99 through the Office Depot website. “That’s why we created the circles, we tried to get the same color palette and tried to make the printing really good as well,” explained Toledo. 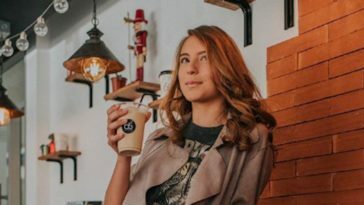 The pair then found a McDonald’s employee shirt at a thrift store, created a fake ID for a McDonald’s “Regional Interior Coordinator,” and sneakily hung their poster up. Mission accomplished. It seems as though it already has. While many of the reactions on Twitter praised the boys for their gumption and wit, many more were excited about the fact that besides being funny, the “prank” was also a reminder to mass media and our nation’s biggest corporations about the absolute necessity for inclusiveness and representation. Now what would really impress us would be someone sneaking into their local McDonald’s to fix the ice cream machine.